Fiona Doherty has too many responsibilities to fool around, especially now that she has custody of Shea. Sure, she’d love to find a devoted partner. But she won’t jeopardize her sister’s happiness—or risk revealing her tortured past—on a love-’em-and-leave-’em type of guy like Kieran...so it’s up to him to prove her wrong. As Fiona spends more time with Kieran, she starts to see a softer side of the reckless warrior. Now she must admit that when it comes to the possibility of real love, well...there’s a fighting chance. I love this Kavanagh family. They are far from perfect, but they stick together when it matters. Kieran Kavanagh was the bad boy of the family. He was a fighter, but the typical MMA rules were too strict for him, so he moved on to underground fighting. He thought he was a badass going rogue, not realizing he was putting his family gym in jeopardy. When Kieran was arrested and jailed for two years, he knew his family was viewing him differently. He knew he had to prove he was a different man getting out of jail than the man that went in. Fiona was doing the best she could. She was raising her little sister, Shea, who was on the autism spectrum, after her mom had died. Fiona was working at the flower shop she owned, trying to make enough money to get Shea into a private school that works with kids with special needs. Kieran sees Fiona when he stops to get his mom flowers for Sunday dinner. He's attracted to her and asks her out, and Fiona lets him know she's not interested in dating. Fiona knows her sister comes first, but there is something about Kieran that could change her mind on dating. Can Kieran get behind the wall Fiona has around her heart? Will Fiona understand about Kieran's past? Kieran's book quickly became a favorite for me. I love that Ms. Robinson included a character with autism and that she did wrote that character so well. Dee is one of my favorite secondary characters, she is the typical Irish mother. She is hysterical. I can't wait to see where Kane's book goes...and Quinn's and Jimmy's and Casey's. I can't wait to see what's next for this family. I have to say that I absolutely adored Shea and the trials that she puts in everyone's way because it is so realistic to having a child with special needs. I felt so much for Fiona because of what she had to endure while trying to be a good mother/sister for Shea. I loved the Irish family and the way they all supported each other throughout this book, even to the point of taking care of strangers because it simply was the right thing to do. I felt like Kieran grew a lot in this book as we see him go from the boy who has no worries to the man who wants to take care of the little makeshift family he finds himself wanting to be a part of. Fiona didn't grow much to me as she was already quite the complex character from the beginning. I did feel like the drama Fiona was keeping in her closet was overplayed a bit, or maybe it didn't come to light in the way I thought it would since it was supposed to be such a big deal. Either way, I felt like she was quite hypocritical of Kieran, however, she did show that she knew the man within, not the man he was in the past. While I felt this was a good story, overall, I didn't enjoy it as much as I did the first one. However, I did absolutely love Shea's character and the complexity she brought to the story. Kieran Kavanagh was going places, except it wasn't where he wanted to go. A few years ago he was headed for the MMA title and wanted more, or so he thought. And by more, he got into illegal underground fighting. And when the cops showed up, he was arrested for aggravated assault and sent to jail for 2 1/2 years. After two years, he is now out on good behavior. Fiona Doherty owns a flower shop and when Kieran stops in on the way to Sunday dinner at his parents, he has found the one. But Fiona doesn't date, she has Shea to think of first. Shea is her little sister, whom she has custody of since their mother’s death. But what Kieran doesn't know is Fiona is keeping a secret from him to protect him, not herself. She doesn't want to fall for him and then him learn about her past and leave her and Shea. What will happen when either learns about the other’s past? Will it be the end before they begin? Can Fiona forgive Kieran and not tell him about her past? Will his family still be there for him when they learn about her past? And will they help her with Shea? I fell in love with the Kavanagh family in the first book and I think Kieran is my favorite, at least so far. I can't wait for Kane's story to come out. 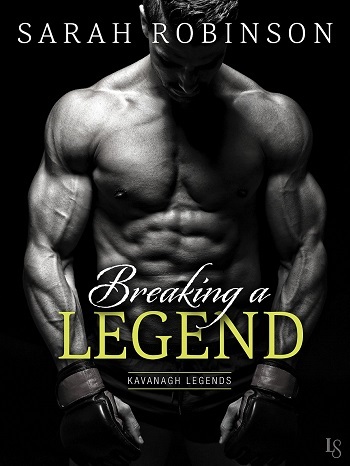 For reviews & more info, check out our stop on the Breaking a Legend Blog Tour. 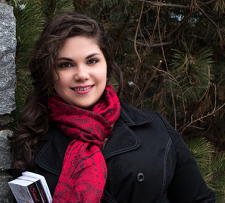 Aside from being a Top 10 Barnes & Noble and Amazon Bestseller, Sarah Robinson is a native of the Washington, D.C., area and has both her bachelor’s and master’s degrees in criminal psychology. She is newly married to a local police officer, Justin, who is just as much of an animal rescue enthusiast as she is. Together, they own a zoo of rescues, including everything from mammals to reptiles to marsupials, and they volunteer and foster for multiple animal shelters. 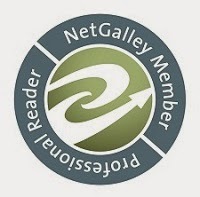 Reviewers on the Wicked Reads Review Team were provided a free copy of Saving a Legend (Kavanagh Legends #2) by Sarah Robinson to read and review. Thank you for your reviews, ladies!